Cupcakes 'n Daisies: Last Leg . . . This is the last post on my vacation out west, which was a month ago! Where does time go? I was lucky enough to attend Spring Market. 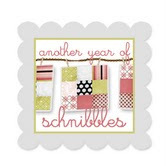 Anything I have to share is old news, and if you've yet to see any pictures of market hop on over to Sherri's blog, A Quilting Life, or Sandy's blog, Textile House. They both had a great time and got some wonderful pictures. I was able to meet up with Sandy (it's always fun to meet a fellow blogger face to face) but Sherri and I never could get our phones to work at the same time, we only exchanged voice mails, not hugs. Market is a wonderful experience, I found the amount of talent and inspiration under one roof overwhelming. If you ever get the opportunity to go, you must! The highlight of my market tour was visiting Monique's booth, Open Gate Quilts. I was able to see all the quilts that are in Monique's book Fat Quarter Winners. What a treat. The quilt I was most interested to see was Crazy Eights, the pattern that I made using red and black prints. Monique went scrappy with her background fabric for her blocks where I went with one background fabric. You would not believe the difference that makes in the look of that quilt. I always find it fascinating to see the same pattern made with different fabrics. I've been looking for my next applique project and this just may be it! I'm thinking of either adding some pieced blocks to go in between the applique blocks or keeping the center as is and surrounding them with pieced blocks. Somehow I want to supersize this project from a wall hanging to a quilt. The French General's Shop, located in Los Angeles, California. I was not allowed to take pictures inside the store, but it had a very interesting assortment of goods; some buttons, jewelry, ribbons, candles, fabric, paper products and much much more. A fun shop to lose yourself in with a very friendly staff. The tea kettle is always on. the store had a limited amount of Panier de Fleurs on hand. If you read this blog very often, you know I have a thing for blue, for avoiding blue, but the blue in this line is gorgeous and goes great with the red that's also part of this family of fabric. When I saw the entire family, I immediately pictured a quilt made of only the dark fabrics, no lights. I think the contrast in colors would make an amazing quilt. I mentioned this to someone who had also seen this family of fabric and she said she pictured a quilt made using only the lights! So start saving your pennies, I suspect you will want to make more than one quilt from this fabric. and a French General tote with a couple of notebooks? To be eligible just leave a comment on this post, any comment will do, but I am curious to know if you have made a quilt using any French General fabric,and if so how many, I'm up to 4 and counting! I'll announce the winner on Monday. Haven't made a quilt yet, bet I've been collecting some of the fabrics, so perhaps one day. Love seeing all your quilts, which are all beautiful! I have made half a Rouenneries quilt! Using the Apple Crisp pattern featured on Nicole's blog many moons ago. Have got 32 blocks out of 63 completed but it is taking me much longer than I thought! I haven't made a quilt yet with the French General fabric, but I know I must...now to just find the time. 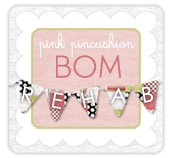 :) I absolutely love your blog! oh I love red and how I would love that tote bag! I have not used French General - Yet! 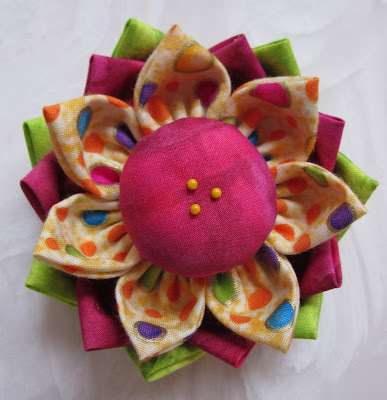 The pincushion is adorable. Hadn't seen the French General, but now that I have, I love it!!!! Love the pin cushion and the bag. Hope I win!!! Haven't made a quilt from French General fabrics, but it is certainly on my "bucket list". I say this while drooling over the photos of your generous give aways. The pic cushion is charming, but the FRENCH General stuff!...be still my heart. Hope you pick me! Thanks for the chance to win. I have not yet used French General but each time I see a quilt made with it, I am truly inspired. I haven't made a quilt with any french General fabric yet but hope to soon. I love their line that is out now. I also think the fall line will be really great...maybe a patriotic type quilt? You beat me - I've done 3. French General has such gorgeous designs! What a fun trip! I can only imagine but then who knows what the future holds right. Well I used Rouenneries to make the Elizabeth Quilt and the Schnibble Madeline (Carrie Nelson aka Miss Rosie's Quilt Co.) I also have another bundle waiting patiently for me to play. I have a charm pack of Maison de Garance that is crying out to be made into a Schnibble! Love the looks of the new line. I'm also in love with the new Open Gate pattern. SO many ideas, so little time! French General fabrics are always gorgeous. Lucky you are ! I keep drooling over the fabric, but haven't made a quilt yet. Sometimes fabric has to age before I'm allowed to cut it! LOL So glad you had a great vacation! I love French General fabric! I've been collecting it for years and have quite a large stash of it. But as I'm sitting here trying to think of quilts I've made with it, I can't think of any. I'm shocked! I need to get busy and actually use all of that gorgeous fabric. I have a couple of treasured FQ's from blogging friend Julie, but have never seen the fabric around here. I hope to find some when I attend the quilt show in Vermont in 2 weeks. I love the selvages on the pieces Julie sent me. I've made two and you can see both of them here: http://nancynearphiladelphia.blogspot.com/2010/09/nancy-near-philadelphias-red-period.html I have a jelly roll for one more and then there is the bin of scraps. I'd love to win this giveaway, especially the tote bag! Thank you for the opportunity. Love the French General fabric - so far I have just petted it, not put it in a quilt! French General is my favorite line of fabric. I made a Schnibbles pattern with FG, and I am accumulating fabric to make a larger pattern, probably the new one that Carrie has out now, Scarlett Queen :-) Thanks for such a sweet giveaway! I have used French General in a Log Cabin and it looks wonderful. I enjoy your blog.Keep up the good work! Those new French General fabrics look gorgeous! Lucky you to get to go to Quilt Market too! I'm on my second French General quilt! My first was my MGF and my second was actually my Eventide quilt. The Eventide is on the frame and I'm about to take a break and go down and see if I can't get a couple more rows in before my next conference call. :) Jealous you got to see Panier, do you think the reds will blend with some of the other collections okay? *note, I will be out of town next week and will not have my computer with me. So if I am lucky enough to win, I won't be able to respond until I get back. You are one lucky lady to get to Market AND to French General! I'm green with envy! I have preordered a fat quarter bundle of Panier de Fleurs from one of the on-line fabric sites. It was just too much to resist! I've not made anything with my growing stash of French General, but I do have 2 or 3 projects on the drawing board! I love French General! I have made the Madeleine Schnibbles in Rouenneries and I have fabrics for at least two more quilts in various other FG lines! I haven't made anything with French General yet, but I keep seeing it pop up in blog land and I think I will have to invest in some it. It is beautiful fabric. French General is my favorite. I am making 3 Windham Sampler wall hanging in 3 colorways of French General right now. Thanks for the chance to win. Lovely post. You prompted me to head over to their website and take a look. Funny how I live about an hour away from their shop and have never been. So, toss my hat in the ring for a chance to win your giveaways, as you have inspired me to set up a trip to head to French General. Thanks for your generosity! well, i'm bad...i've not made a quilt using French General nor have i purchased any...I guess I need to get going? I've made two quilts out of French General's fabric and love them! I also have a very big basket of fabric I am hoarding for just the right project. I am a red lover too, so it's a love of pattern and colors. Yummy! I've never made a quilt with French General. But you have talked it up so much that I feel like I'm missing out on something! I just finished a table runner using Pom Pom de Paris charm squares. So pretty! Wish I could visit their store, too. Sounds like fun! I, too, really like the French General fabrics. Now if I only had enough time to make the quilts I want to make! That French General fabric looks fabulous and it'll be one I'll be buying for sure. Oh Thelma ! I had not seen this new fabric line yet ! I have to have it :-D I have made only 1 french general quilt so far and have all the fabric here to make a quilt out of Rounneries once I find the perfect pattern for it. I hope I am the lucky one to win this wonderfual giveaway ! FRENCH GENERAL TOTE IS SO NEAT! A French General store?! Wow, I'm so envious! I'm seeing a road trip in the near future. I've only made one quilt using the Rouenneries, but if I made the money,I'd make many more. I love their fabrics. I sooo wish we had been able to meet at market! It was one of the few things on my list that just didn't happen. I also was pleased, though, to meet Monique and see her booth! 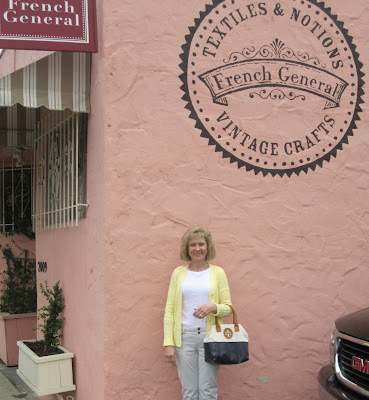 And going to French General in LA is on my list of things to do one day! No, I haven't made a quilt using the French General fabric....yet!!! I also wanted to let you know how much I enjoy your blog, Thelma! Love your pictures you share and definitely hear your 'voice' (aka: personality) come out in your posts! It's like I'm sitting across the table visiting with you! :) Thanks for writing such a wonderful blog! I have never used French General fabric. It doesn't seem to be available in my area and I guess I've just never ordered any.......but I'm interested in now :-) Lovely fabrics! It sounds like you had a wonderful trip. Thanks for sharing your pictures. Does count buying French General fabric ? Can't seem to get past fondling it. Yes, I've made two. One with a Carrie pattern and one with 4 applique flower blocks from Blackbird Designs. Of course, I still have more fabric and dreams of yet another. It is gorgeous stuff! Thanks for the opportunity to win a very nice prize. I've made 2 quilts from French General fabrics ... both were in Rouenneries. Have a stash of Rural Jardin waiting for the right project too. And recently bought a Pom Pom de Paris jellyroll. Actually it is nice to see market posts at a more leisurely pace, than the five hundred look who I saw posts all competing for our attention at once. As to French general, just one, I am hand piecing a Lumiere de Noel quilt for my sister in law, we just lost my brother born on Christmas day. I havent made a quilt yet but really like the colors of the grouping you showed so would love to try them in a quilt. Thanks, Thelma, for a great giveaway! I've never made a quilt using any of the French General collections, but I've been drooling over their Rural Jardine. Since it's been around for awhile, I haven't been able to fine any, but I'm hopeful I find some. I would love to visit their store and am so sorry you weren't able to take any pictures. I've made a bed quilt, and a applique BOM from Bunny Hill out of Rouenneries. I'm current working on a Bunny Hill Christmas applique BOM with LaPetite Ecole and a bed quilt with Pom Pom de Paris. I've loved all of their fabric lines so far, and looks like the new one will be the same! I haven't made anything from the French General Collections, but then I have just returned to quilting after a 15 year hiatus. Now that my birdies are leaving the nest, I can have a sewing room again! The new collection looks bright and cheery. I have finished one but have 2 or 3 in my head to start! I love the red in her fabrics and how well it marries with her coordinating colors. I'm in a quilt block swap thing for the first time. One of the gals started her quilt with a "french generals fabric" block. I didn't know much about it, but I went to a fabric store nearby & got a teeny bit so I could make a block for her quilt. It is gorgeous fabric!! I would love to make a quilt using french general. I would love to win a giveaway, also, which would be the first time ever!!! I love me some French General. I am making a quilt using Rural Jardin as we speak! It is a Miss Rosie pattern called Stella Blue. I love love love the fabric. It's so gorgeous. You lucky thing! What a great prize too. I've made one quilt using Rural Jardin and one using Maison de Garrance, both from patterns in the Two from One Jelly Roll book. I do have some Rouenneries in my stash but haven't found the right pattern to make me cut into it yet, though I think it may be Elizabeth. I haven't made a quilt with any of French General fabric ..... still collecting it. It looks like you had way too much fun on your trip. I would love to go to Quilt Market. Let me see.. I made a wedding quilt for my niece, only charm squares... but never less a full size quilt; a table runner for my best friend embroidered and pieced; a petit proyect: Mon Amie, a Christmas wall hanging from Homespun Magazine, Brownye Hayes I think is the name of the designer (this one needs the embroidery to be completed but is close enough)and I just bought more embroidery floss to make another table runner all of them in Rural Jardin my favorite fabric line and I still have a full stash of one yards for anything that it might jump on me on the way. Love it, Love it, Love it. I have not used French General yet as my LQS hasn't carried it. However, I have seen many lovely quilts of it on the blogs I read and would love to try it in a future quilt. Love the French General fabric. I only have two of their lines of fabric, neither have I made anything with, but eventually I hope to do so. Thank you for sharing your journey with us. i have enjoyed it. Have never laid these hands on anything French General :( I love her stuff and make lists of what I'd buy "if I win a million, lol"! Love your blog! And I love French General fabric tho I haven't made a full quilt with it yet. A good friend of my daughter's just graduated from college and will be teaching English this fall in France! I think she might need some placemats for her new apartment. I wonder what fabric I should use? ?